Aphilion Q² was launched on December 5, 2001 as the first independently managed Sicav (classic mutual fund) on the Belgian market. The graph below shows that Aphilion Q² has been able to outperform the market in a very consistent and stable manner throughout its existence. 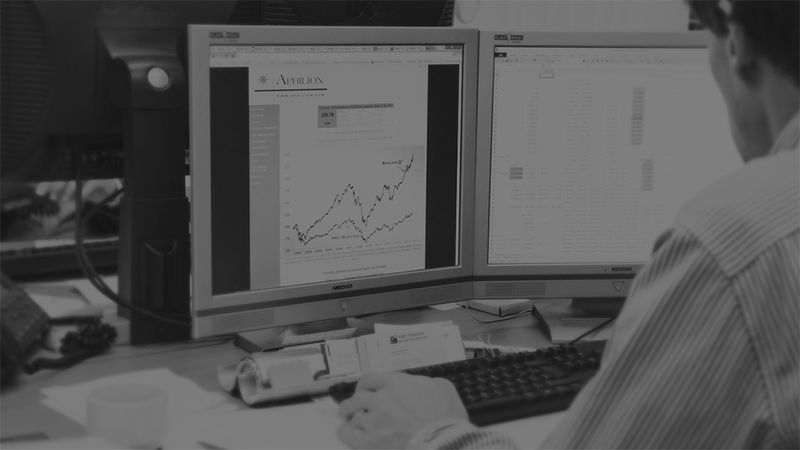 Aphilion Q² invests in a selection of global equities with the help of a set of in-house developed financial-econometric models and tools. These models use fundamental data (earnings, interest rates, etc) to evaluate the return potential of our investment universe of more than 4000 stocks worldwide. The fund has a daily NAV, which can be found here every day at around 4 pm CE, on Bloomberg under the ticker APH8940 BB Equity (for Equities) or the ticker Balance BB Equity (for Balance), or in Belgian newspapers De Tijd and L'Echo.